Despite his council's opposition to the enrollment of reserve members, the Six Nations Grand River Iroquois community of Grand River, south of Brantford, Ontario, provides more soldiers than any other Indian band in Canada. . About 300 of them went to the front. In addition, members of this reserve, the most populous in Canada, donated hundreds of dollars to help war orphans in Britain and to provide other types of relief to the victims of the war. 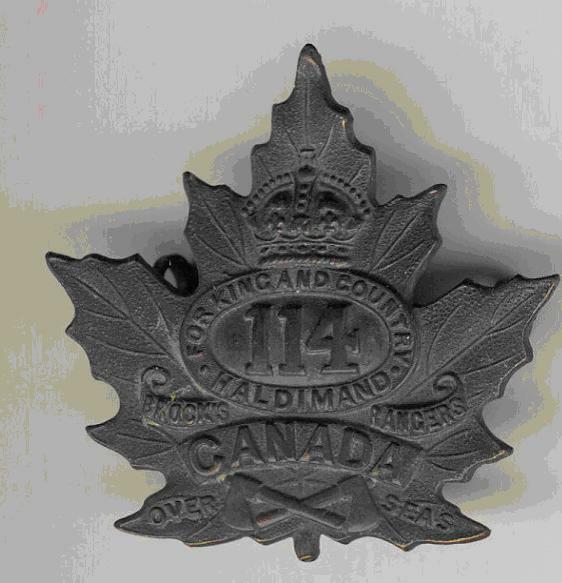 Many of the Six Nations Reserve volunteers were first members of the 37th Haldimand Rifles , a non-permanent active militia regiment established on the reserve. This regiment supplies most of the members of the 114th Canadian Infantry Battalion, for which recruitment was made in the area. Fifty Mohawks from Kahnawake, Quebec, along with several Mohawks from Akwesasne, joined the Grand River recruits in this unit. Aboriginal people from western Ontario and Manitoba also became members. Finally, two companies of the battalion were entirely composed of Indians, including the officers. 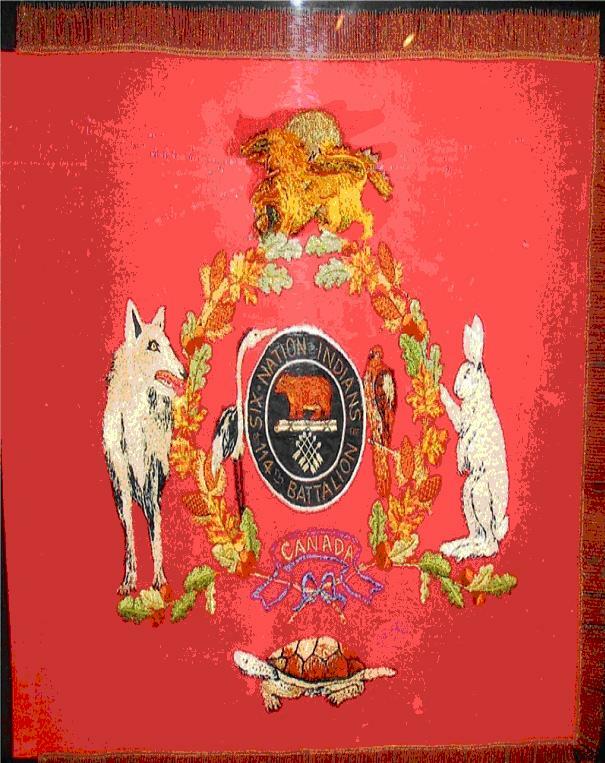 In recognition of its strong Aboriginal composition, the battalion adopted an emblem consisting of two tomahawks crossed under the motto For King and Country . In addition, members of the Six Nations Patriotic Women's League embroidered Iroquois symbols to give a distinctive flag to the battalion. Shortly after arriving in Britain in 1916, the 114th was dispersed as a reinforcement. 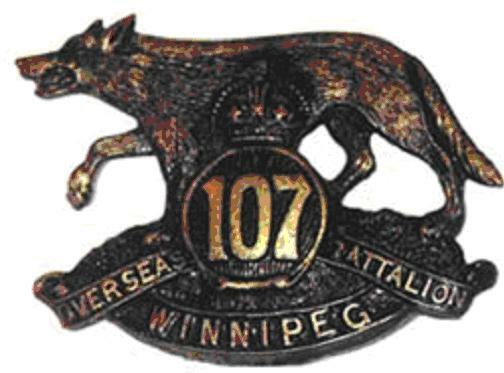 Many of its members found themselves in the 107th Battalion, a Winnipeg unit comprised of hundreds of prairie Indians, among others, who first became a pioneer battalion and later became part of a larger engineering brigade. 500 Aboriginal people.